Click here to see the artworks created on this tour. 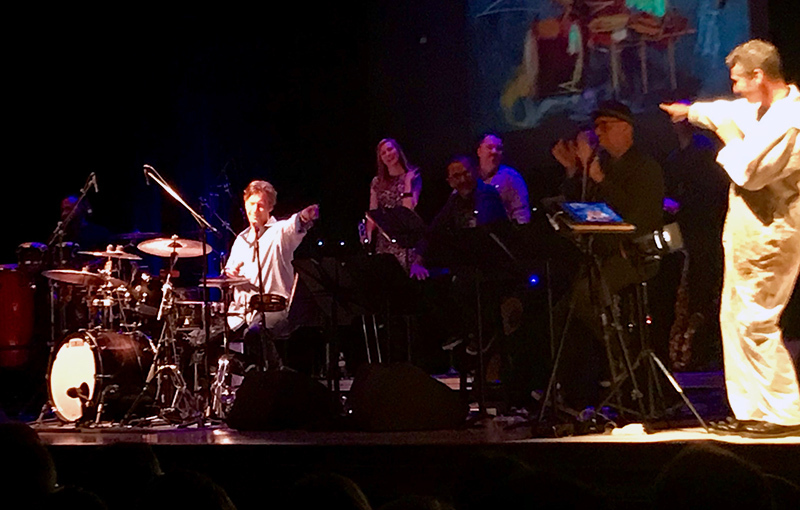 During January and February of 2018 I participated in an epic and amazing Art of Jazz tour with the Birdland All-Stars featuring Tommy Igoe. On this five week tour of the eastern United States I painted live on stage as the band played, working in three media: on canvas, paper and iPad. I performed in 20 cities, travelled 6,500 miles in a bus and created over 125 artworks. The artworks were silent auctioned immediately following each performance. Huge thanks to the entire Birdland All-Stars Team!! great work, Jeremy ! beautiful. 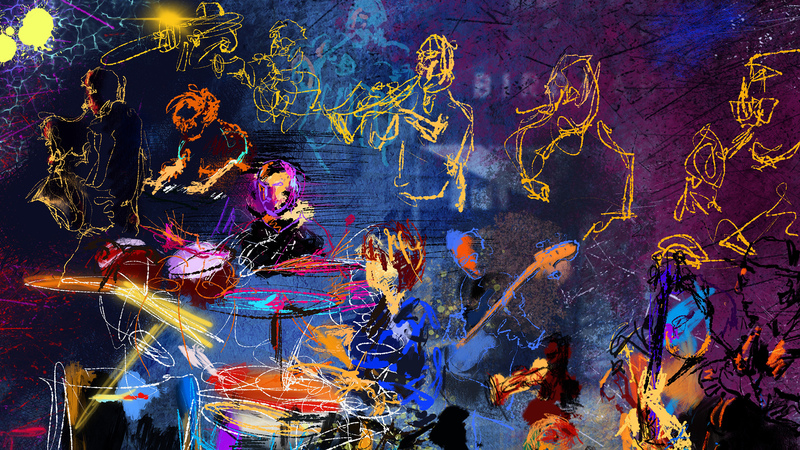 I just watched Jeremy paint live at the Birdland All-Star Band concert staring Tommy Igoes at George Mason University last night. It was very impressive. It was definitely impressive watching both art mediums coming together. Jeremy painted on his I-pad and on canvas – very cool!